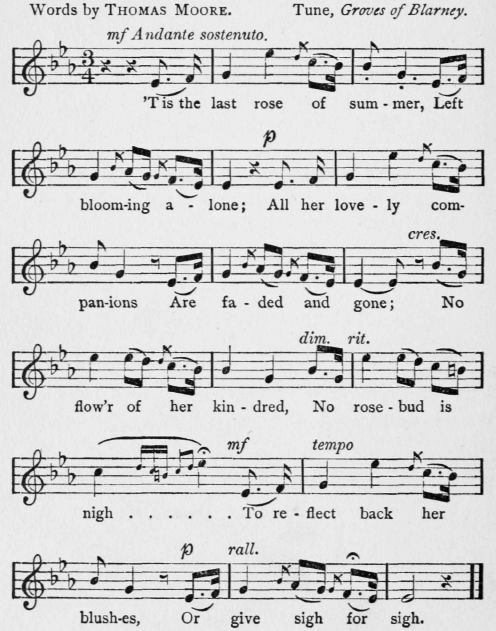 This melody adapted by Tom Moore to his own uses was an ancient Irish melody and first became famous through its introduction into the opera of Martha � being sung by Christine Nilsson. Berlioz said of it, "the Irish melody served to disinfect the rottenness of the Martha music." But then, Berlioz and Flotow were not friends. The melody probably had its origin about 1660.